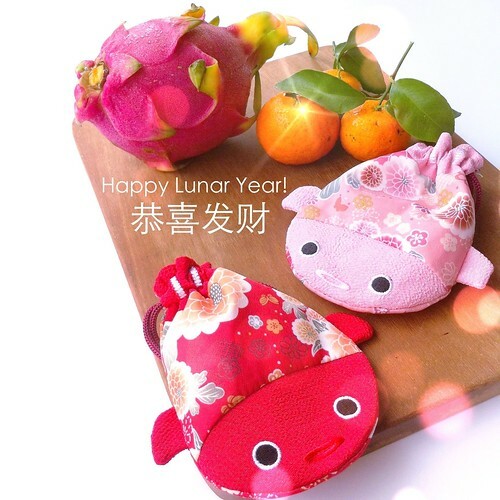 Happy Lunar Year to all of you who celebrate it! a good health, prosperity, and the happiness. Due to my health condition at the moment, I won't be able to blog everyday but don't worry nothing serious. I will still put some posts each week in this blog. So please kindly check it if you have time. And I do love to read your comments as always. @AikoVenus : Thanks a lot Shin! Gong Xi Fa Cai to you and your family! Gong Xi Fa Cai, Lia!! I am sorry to hear that you're not feeling well, I hope you're going to feel better soon and at least can enjoy the CNY with your family. My parents are in Sydney at the moment and they get to celebrate CNY over there with my sis, how lucky...! Happy Lunar Year to you too, Lia. I hope that you'll feel better soon. Take care of yourself. Happy Lunar New Year! I hope your health is better soon! Ah!!! haha! How funny we were just tweeting to each other this morning about dragon fruit! And to see it here, beautifully photographed.. so fun! Happy new year to you and your family Lia! Actually, happy new year to everyone! Lia, Gong Xi Fa Cai to you and your family! rest well and wish you a speedy recovery in no time. @Journal Mommy Yenny : Thanks a lot Yen! Gong Xi Fa Cai too! Happy Lunar Year dear Lia! I hope you get well soon... being sick is not nice :( , so much to do and all we can do is try to recover and rest the best way possible. Big smooches to the kids! Lots of love and warm hopes for a beautiful new year, dearest Lia!! @Bentobird : Thanks a bunch Jenn! Wish you health and happiness in the year of Dragon!